The town of Kasane borders the Chobe National Park. It is a small town, but basically everything you need can be obtained here. The town boasts a bank, butchery, bakery, liquor store, supermarkets and a few specialty shops. Fuel is available from various service stations where general repair work can be done. 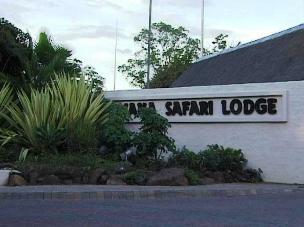 Accommodation in Kasane is available at various lodges and camping sites. 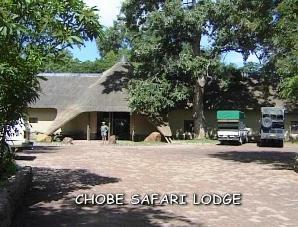 Chobe Safari Lodge is a longtime established hotel, situated close to the Chobe National Park. The lodge offers a curio shop, restaurant and bar. 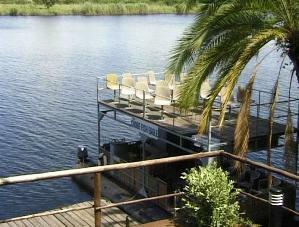 The patio overlooking the Chobe River, is a popular gathering place. The residents' pool is the ideal place to cool off after a hot day. 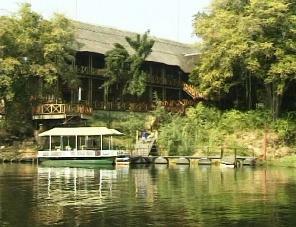 The hotel offers excursions which include game drives and a sunset cruise on their double-decker barge. Apart from the rooms in the hotel which have recently been upgraded, there are also neat en-suite thatched rondavels overlooking the river. 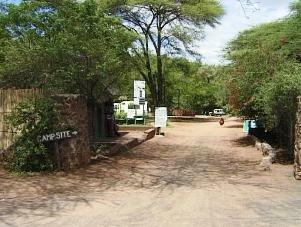 The grassed, shady campsite next to the river offers running water, ablution facilities and a wash basin. The campsite is a favorite venue for fishermen, either fishing from the banks of the river or hiring fishing boats to try their luck in deeper waters. 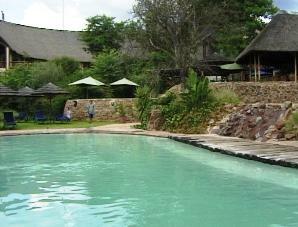 Kubu lodge is situated 12 km from Kasane on route to Kazungula. 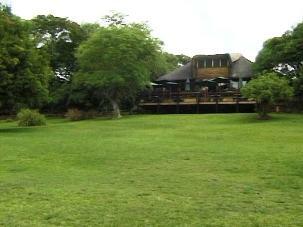 The lodge is nestled among large trees and overlooks the lower Chobe river. The excellent restaurant is housed in a Swiss-styled wooden thatched building and comprises of a bar and an open veranda which offers a beautiful view of the river. Down the terrace, close to the river, a delightful swimming pool is found. 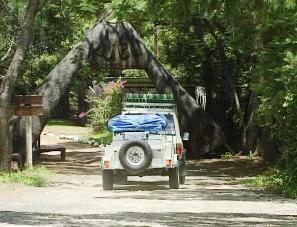 Various excursions are on offer at Kubu Lodge including a trail which is laid out amongst the trees. Boat and fishing trips, game viewing and river cruises are also available. 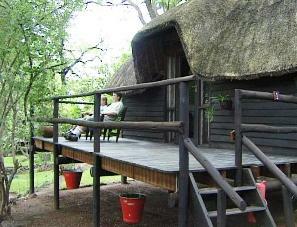 Accommodation comprises of eleven Swiss-type wooden thatched chalets, which are all en-suite and stylishly decorated. It offers all the comfort a traveller needs. The Mowana, which means Baobab, is situated on the eastern outskirts of Kasane. The Mowana is a luxury up-market hotel where you can expect only the best and more, which is normally offered by a five-star hotel. An elegant cocktail lounge overlooks the Chobe from where magnificent sunsets can be observed. The A-la-carte or buffet restaurant offers a wide variety of gourmet food which will satisfy the most particular palate. Luxurious air-conditioned rooms and suites offer you the utmost in comfort. The pool and bar area, set amongst tropical plants, is a haven to the weary and thirsty. While enjoying your sun downer at the bar, a local band will create the right mood to savor the sunset. As the sun sets over Africa, we reflect on our adventure to this beautiful country - Botswana - no doubt one of Africa's last real bastions of game. A land of contrasts - from the harsh beauty of the Central Kalahari, to the lush woodlands of the Okavango Delta. As we bade this beautiful country goodbye, we know its image will stay with us forever - and in time - when its call beckons us again, we will return. Again and again.